A new study into the lived experiences of adoptive parents and the ‘Nurturing Attachments’ group has been published. ‘A qualitative exploration of the experiences of adoptive parents attending ‘Nurturing Attachments’, a dyadic developmental psychotherapy informed group’ is authored by Olivia Hewitt, Oxford Institute of Clinical Psychology Training, Ben Gurney-Smith, Adoptionplus, and Kim Golding, Kim S Golding Ltd., and has been made available by SAGE OnlineFirst before publication in Clinical Child Psychology and Psychiatry. 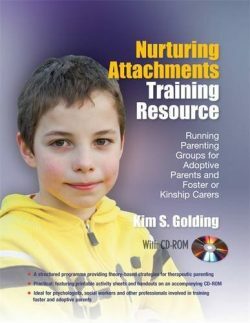 Based on DDP principles, ‘Nurturing Attachments’ is a group intervention for adoptive and foster parents developed by Kim Golding. The importance of trust between participants and facilitators was also emphasised, similar to that experienced during individual DDP sessions. The first published study of its kind, there is also scope for further investigations and evaluations into ‘these approaches and how these interventions may have a role in supporting adoptive families’ (Hewitt et al., 2018, p.10).